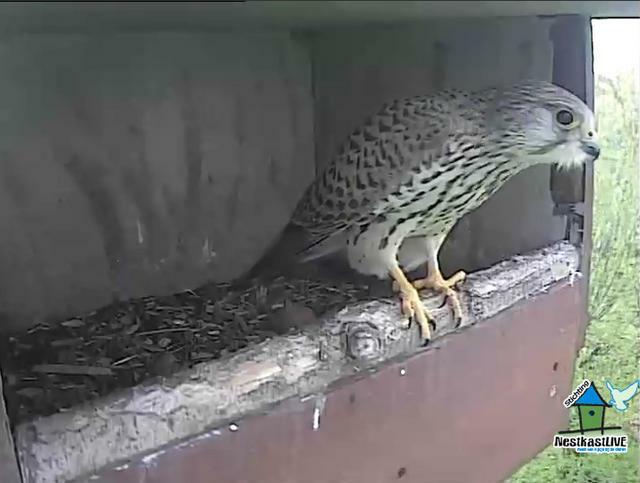 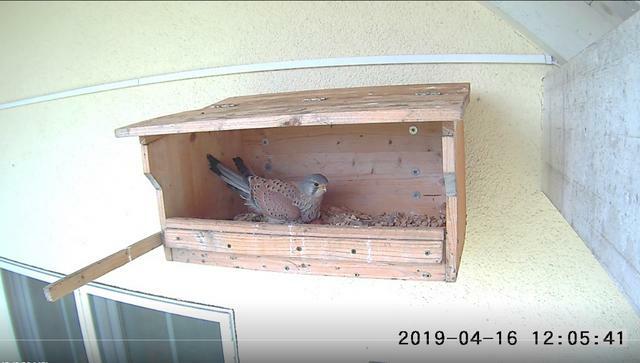 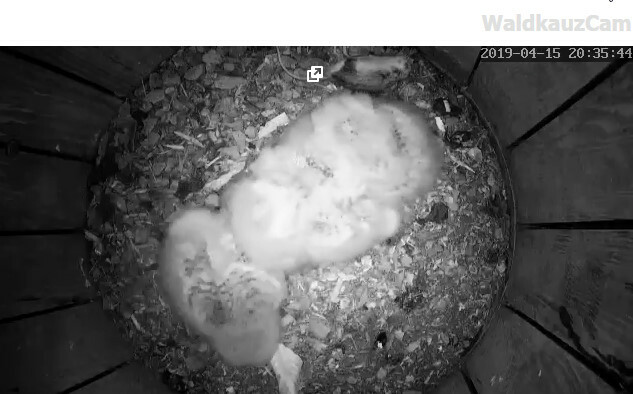 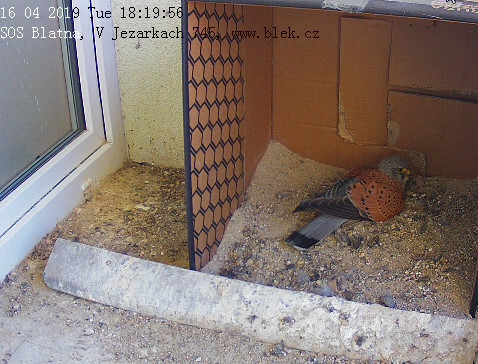 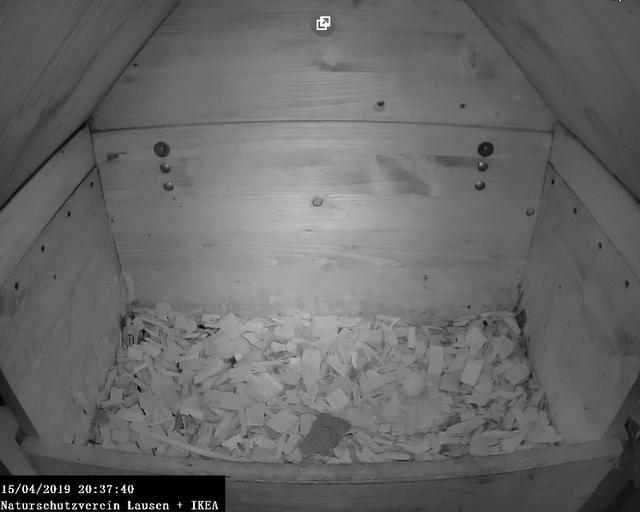 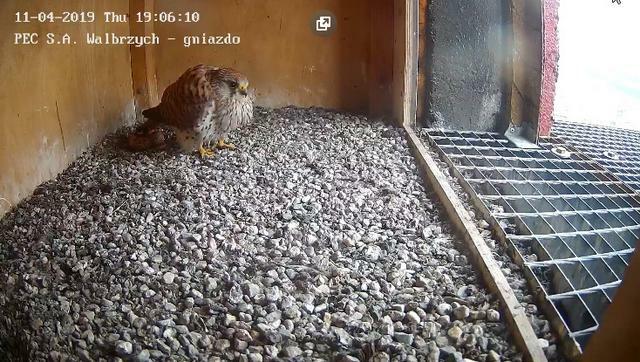 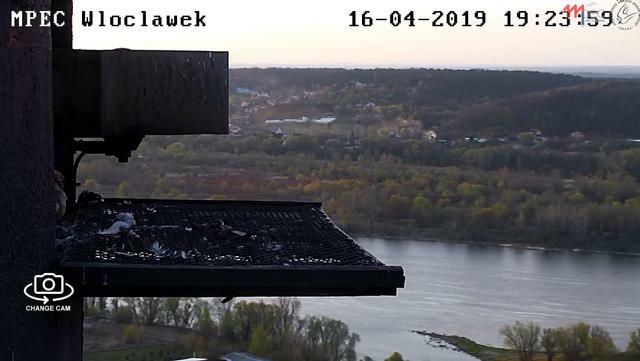 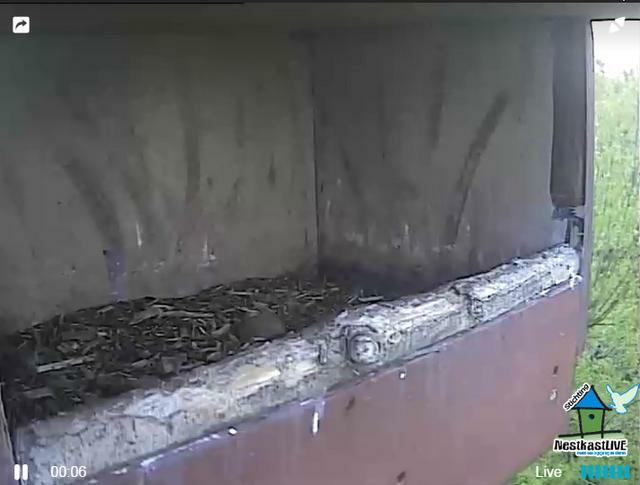 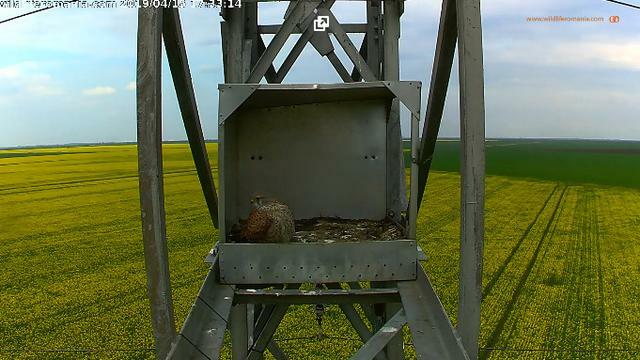 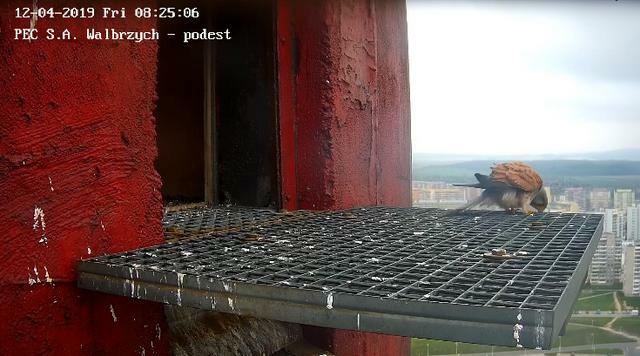 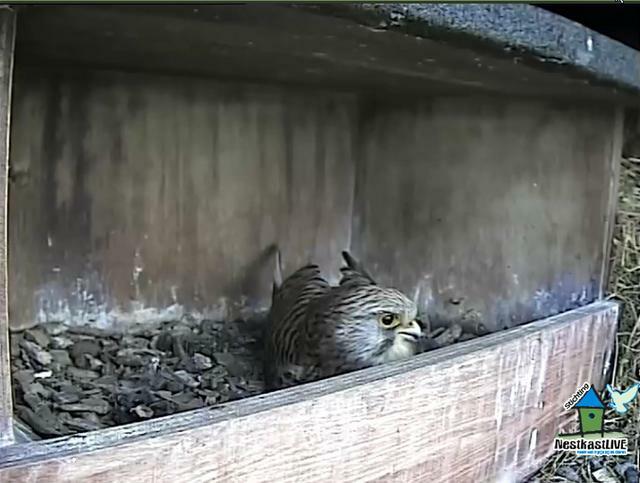 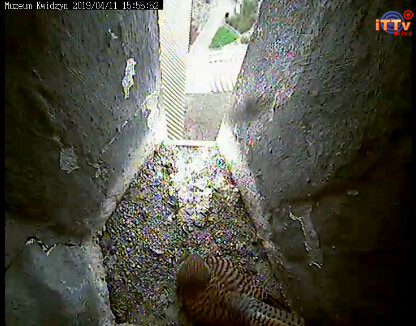 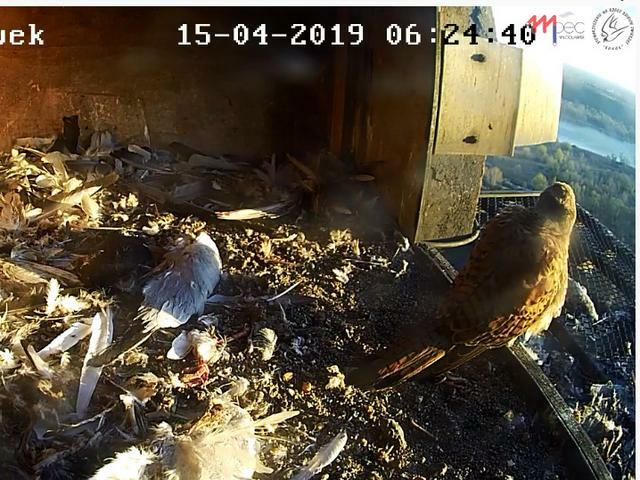 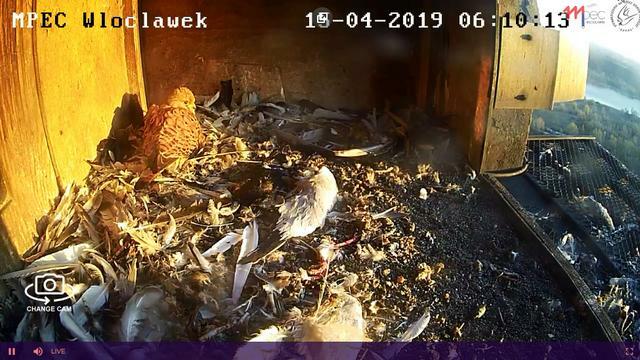 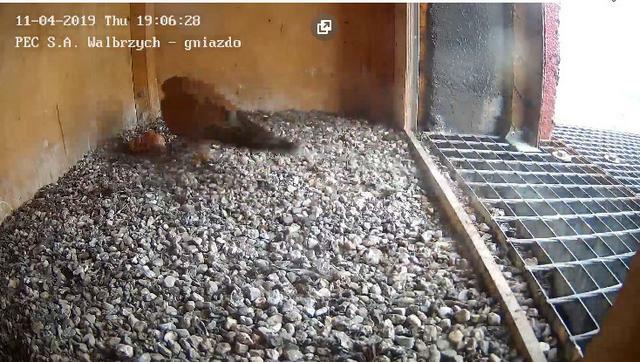 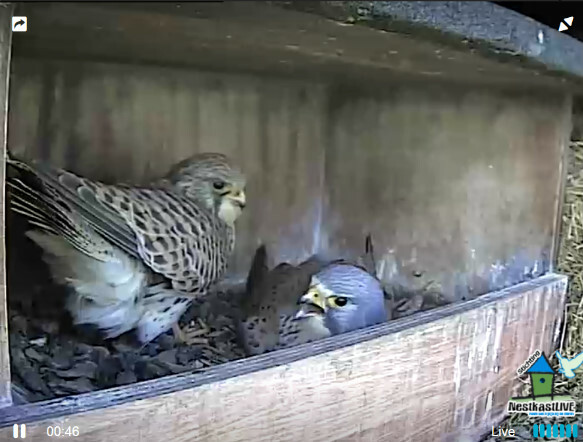 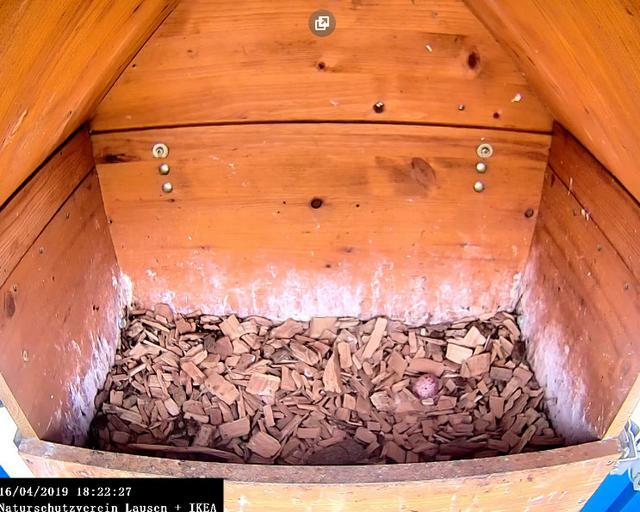 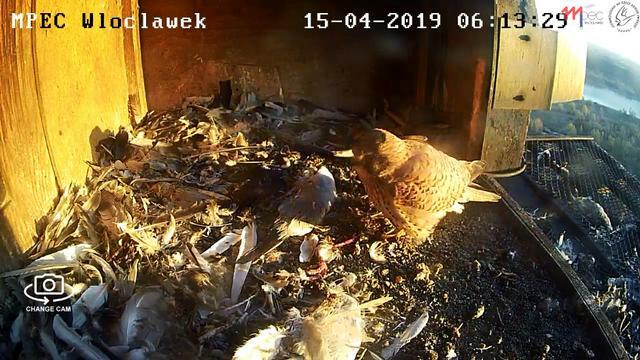 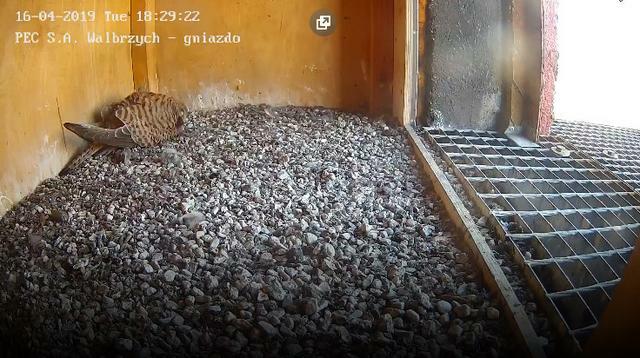 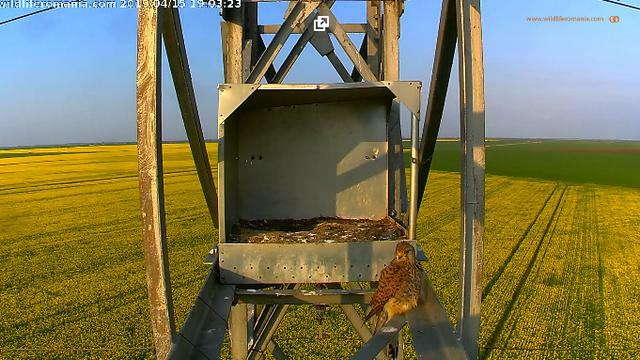 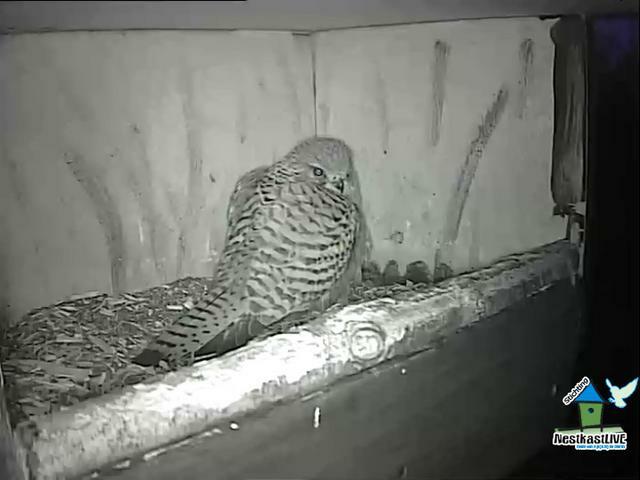 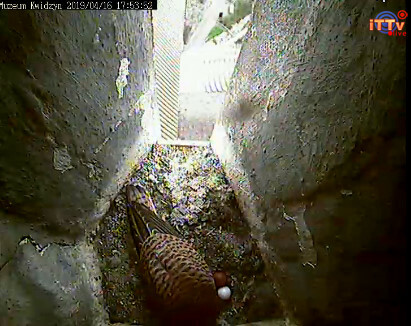 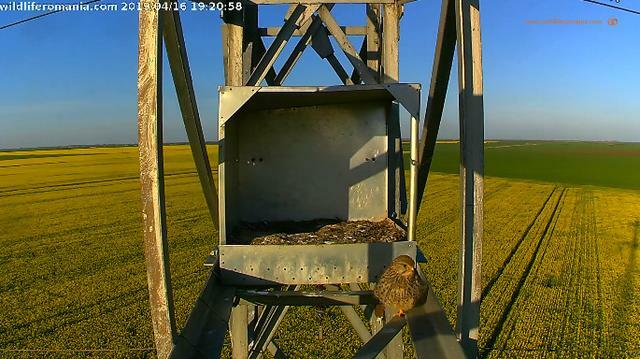 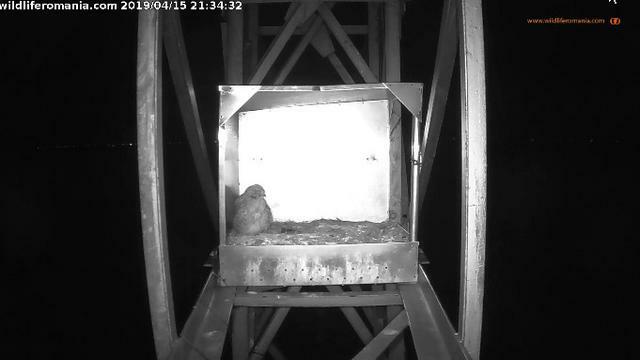 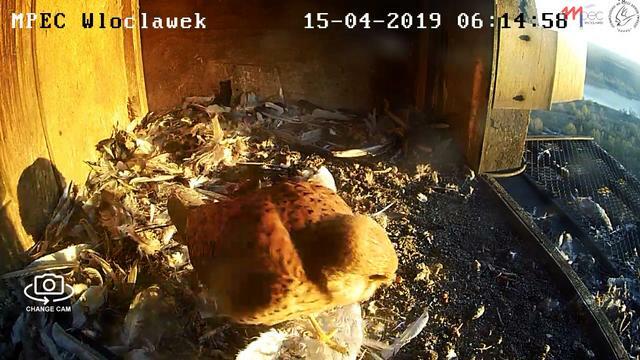 to send live images from a kestrel nesting box again this year. 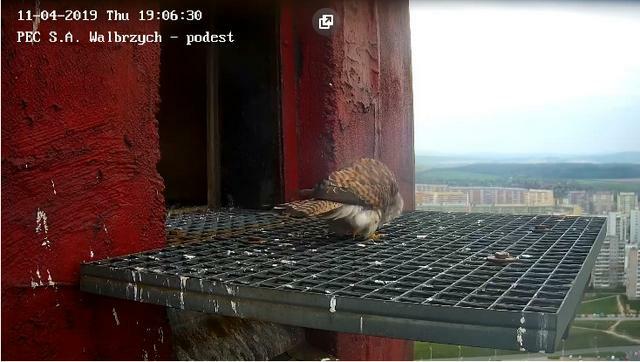 there will probably be no kestrel cub to marvel at. 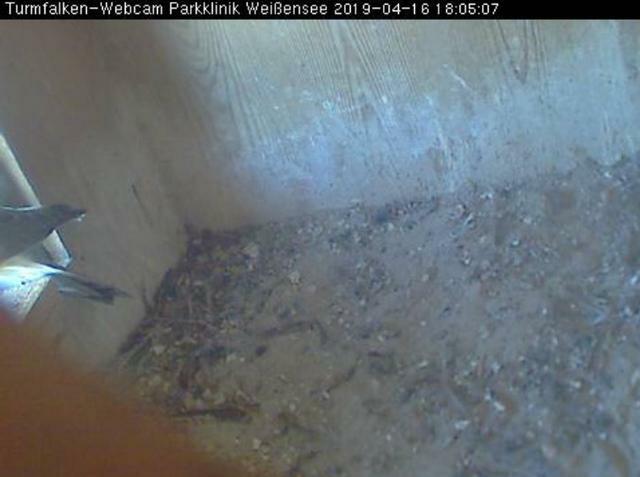 in the Park-Klinik Weissensee in Berlin-Pankow by webcam. 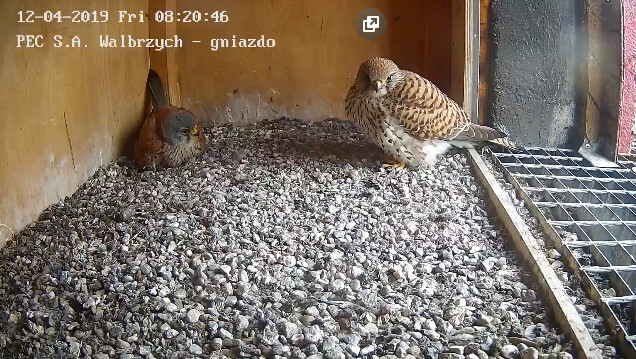 Also this year a falcon couple appeared. 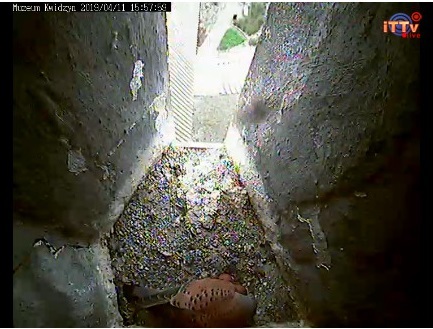 flew at him and began to scrape a nest recess into the soil substrate. 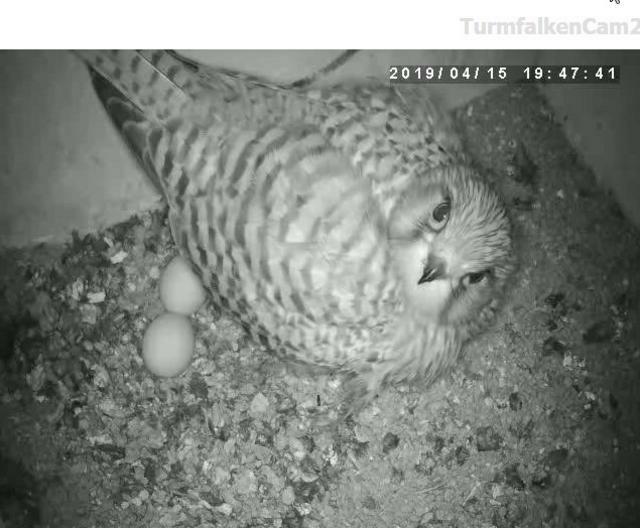 On the first of April, the female laid the first egg. The days passed, no more eggs followed. 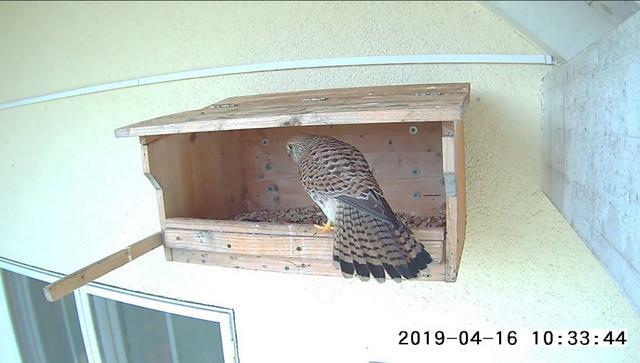 On 19.3. succeeded a snapshot, on which one can recognize a bird waiting ring at the right foot of the female. 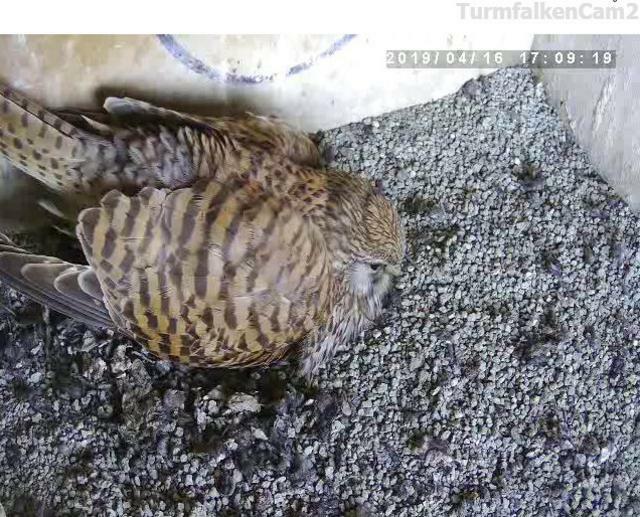 had to have been ringed in the context of the scientific observations taking place in Berlin. 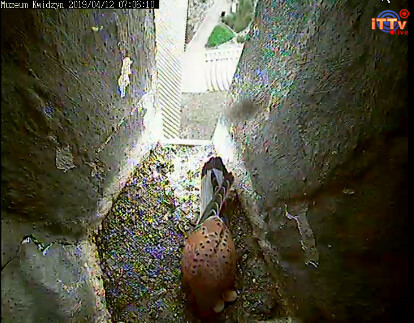 at the Luther Church in Berlin Schöneberg at the age of 3 weeks. 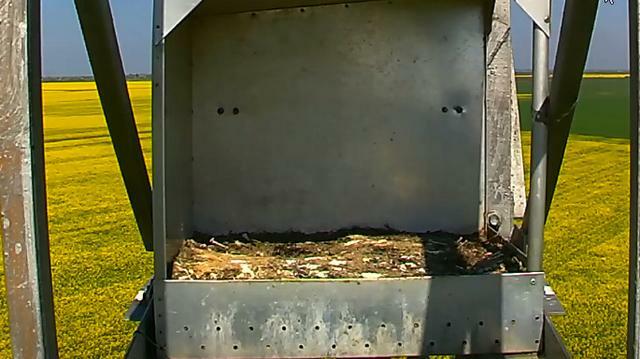 Adoption in the excursion phase to be added, "he reported. 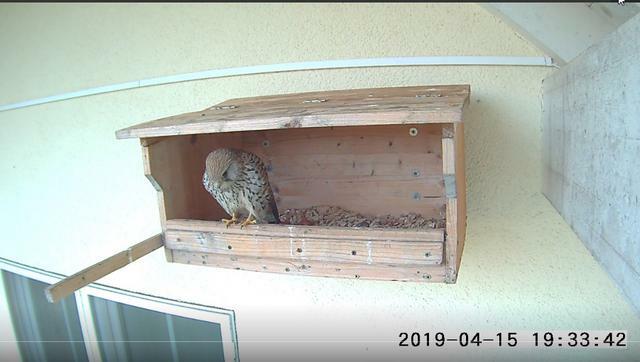 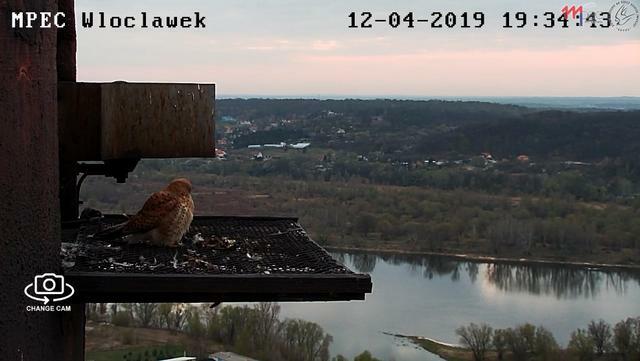 and mated with a male in Weißensee in 2019. 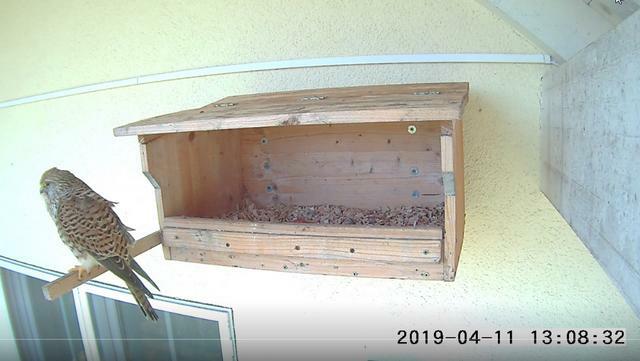 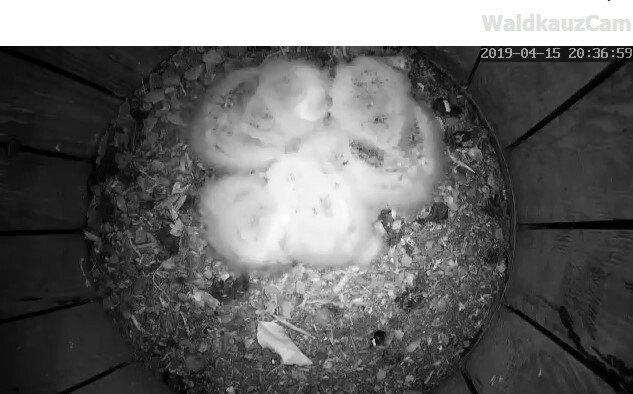 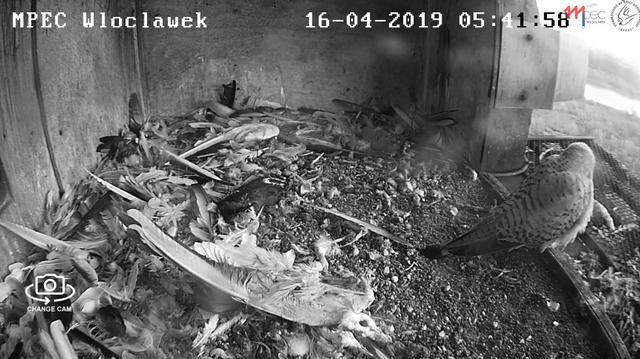 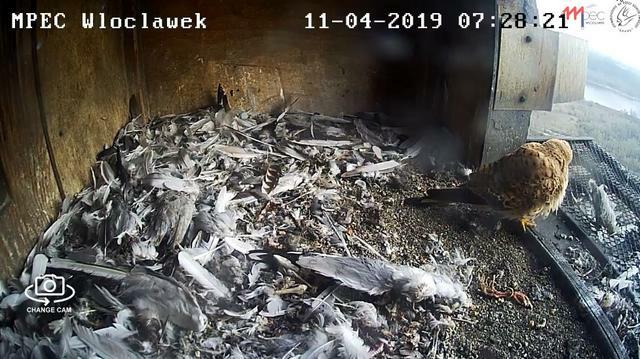 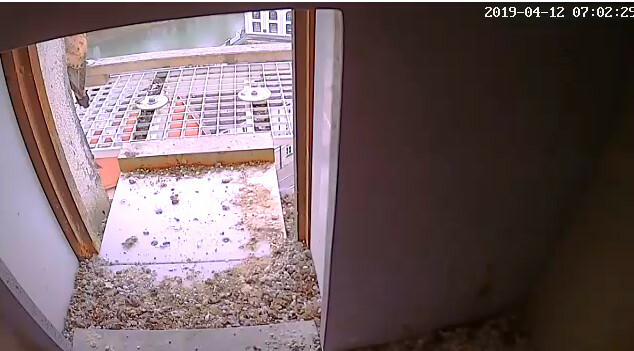 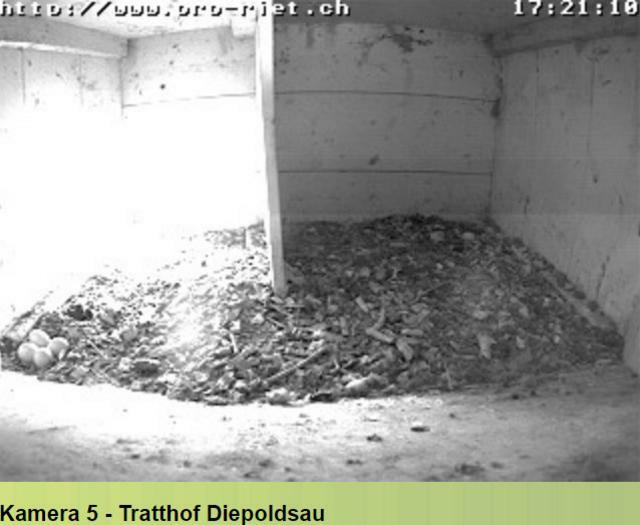 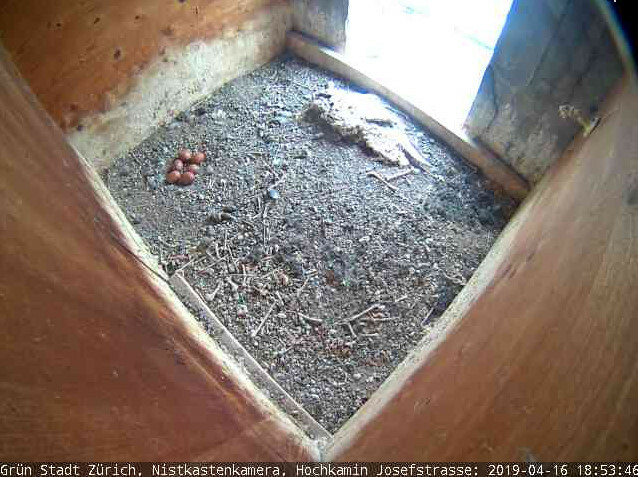 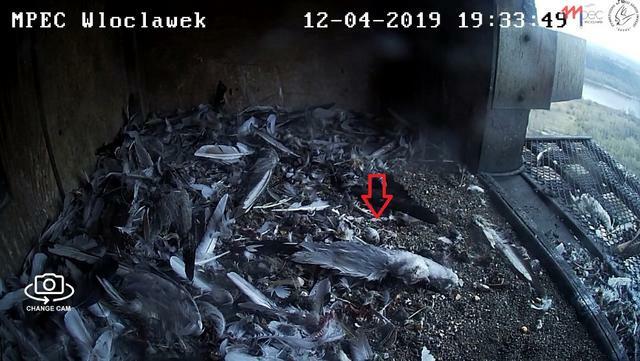 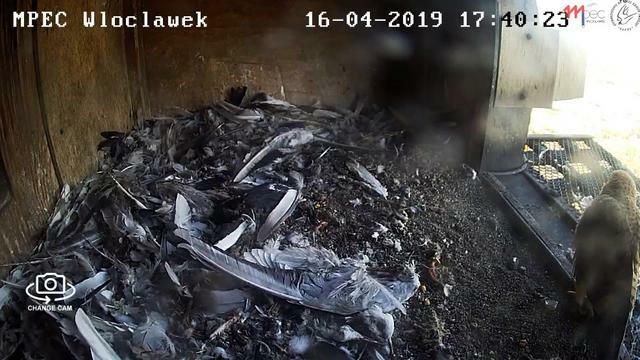 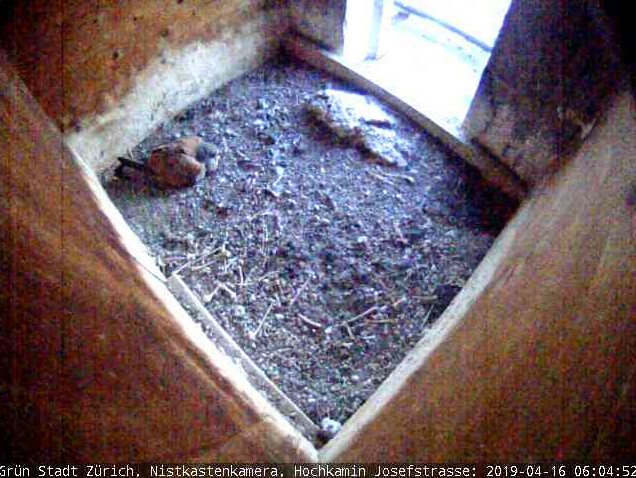 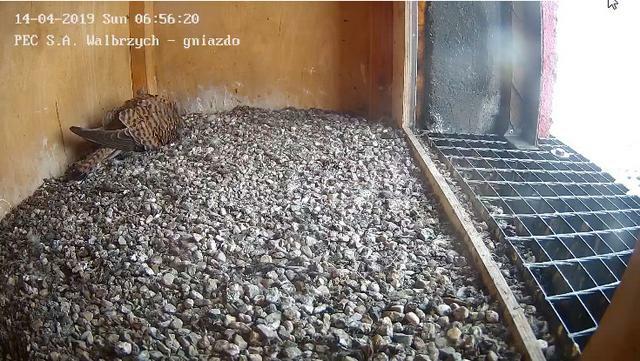 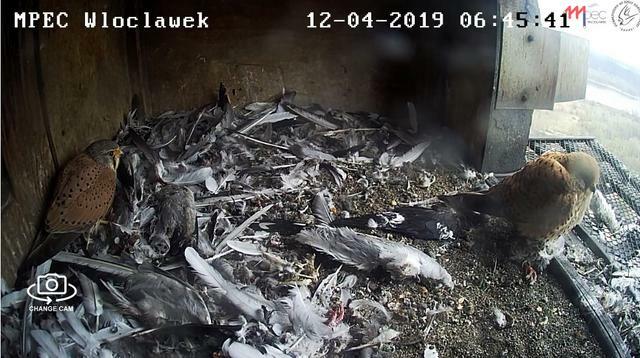 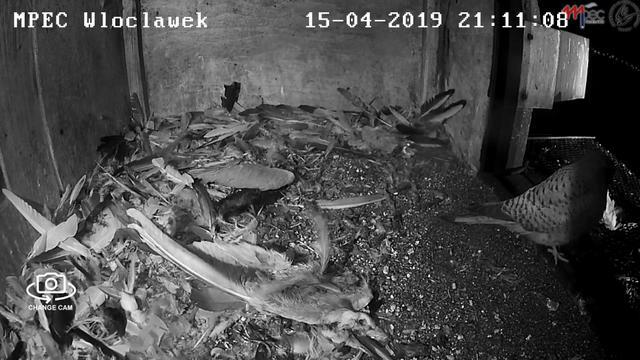 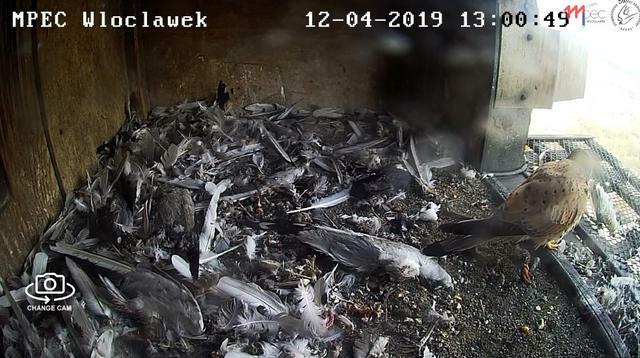 The brood in the nest box of Park Clinic Weißensee fails. 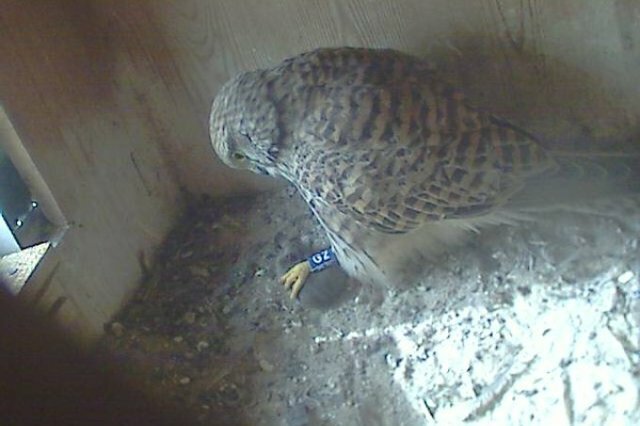 in which then the clutch is placed. 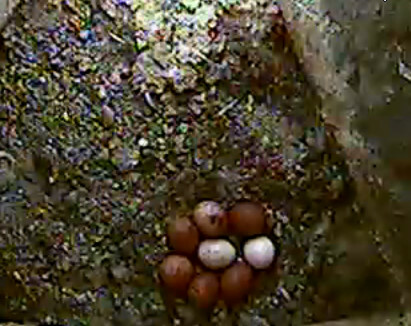 Without this shallow hollow, the almost round eggs would roll apart. 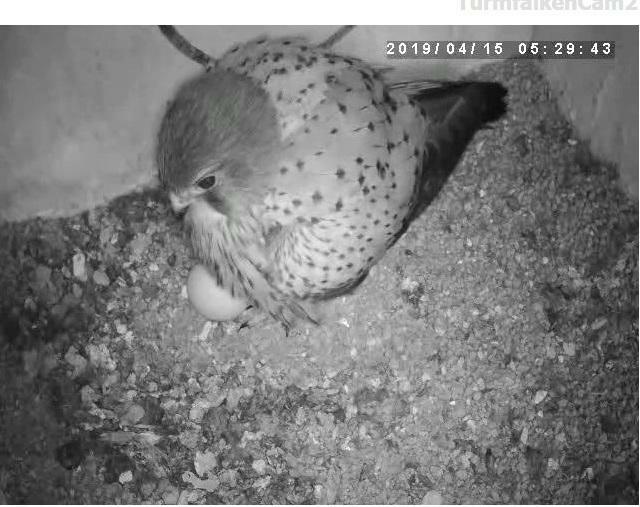 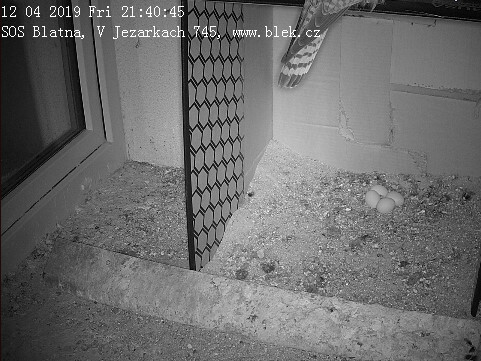 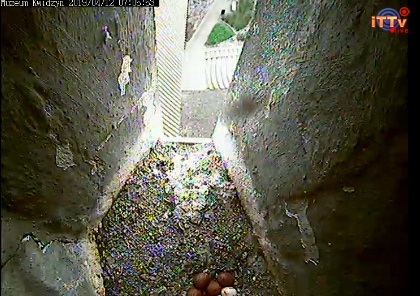 On 1.4.19 the female then laid the first egg - and it stayed that way. 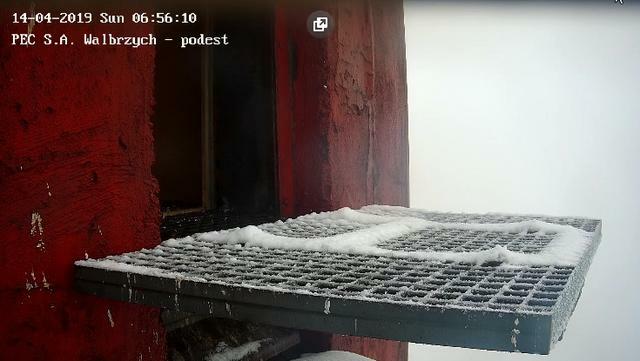 The photo is from 4.4. 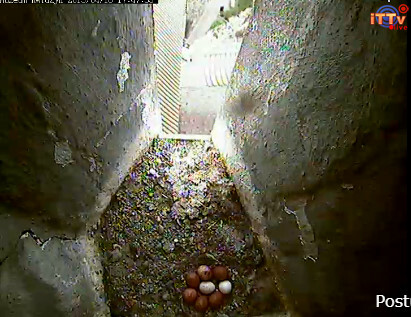 19 - there should have been at least a second egg - if not a third. 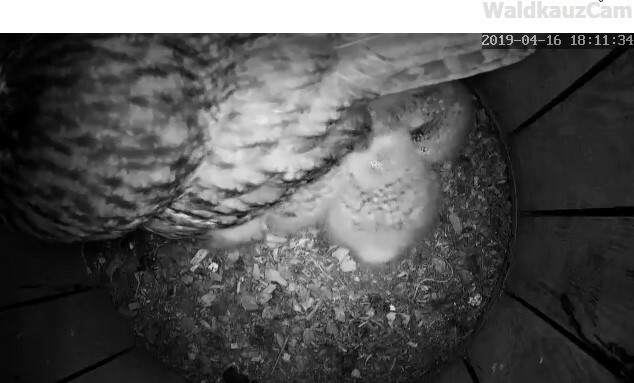 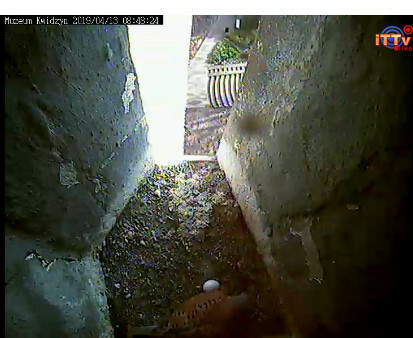 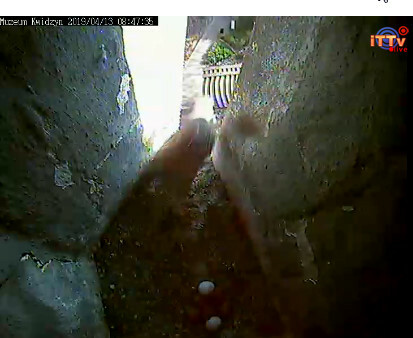 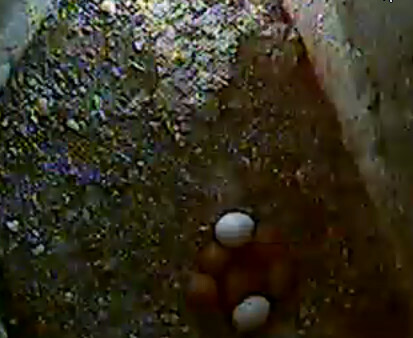 From about the third egg, the clutch is "firmly" incubated. 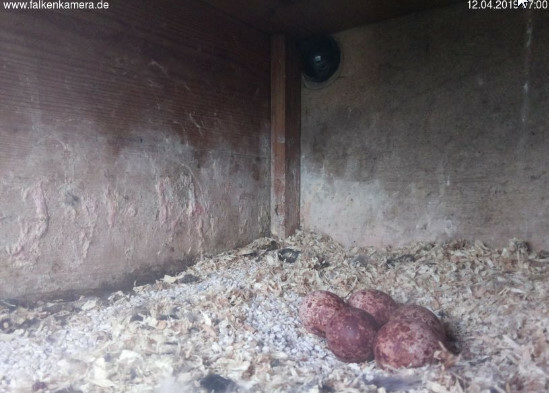 A full clutch can consist of up to 6, rarely 7 eggs. 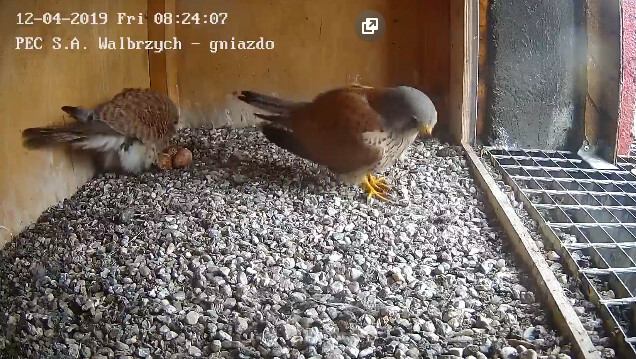 the female as well as her partner could not do anything with the single egg. 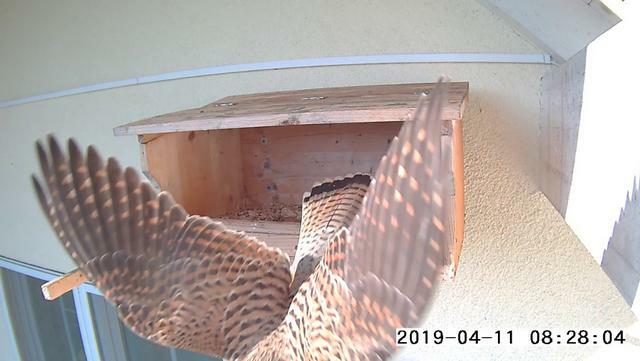 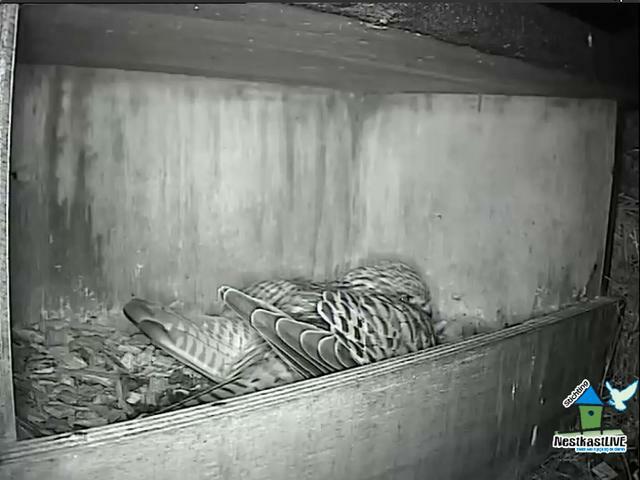 several times took place the prey transfer in the nesting box. 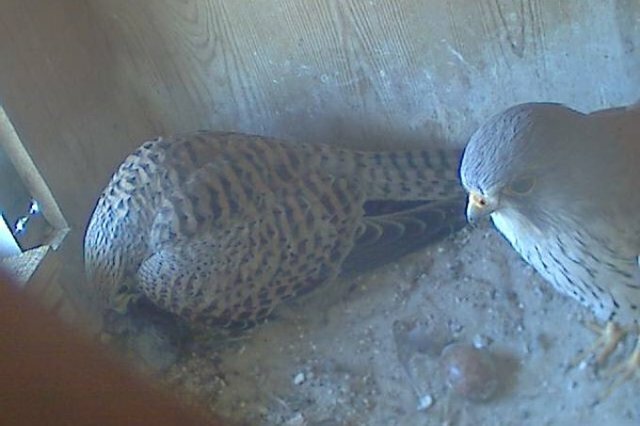 The brood may be housed in a second nesting box located on the other gable side of the clinic building. 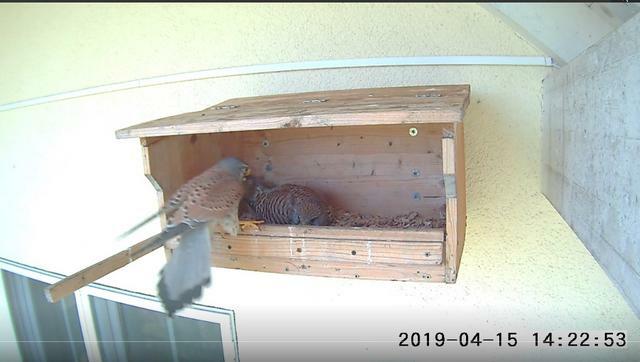 Our camera box may only be used as a depot for prey or as a transfer point. 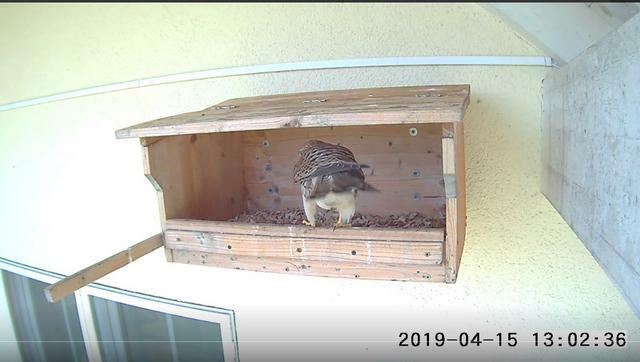 On occasion, we want to check this time locally. 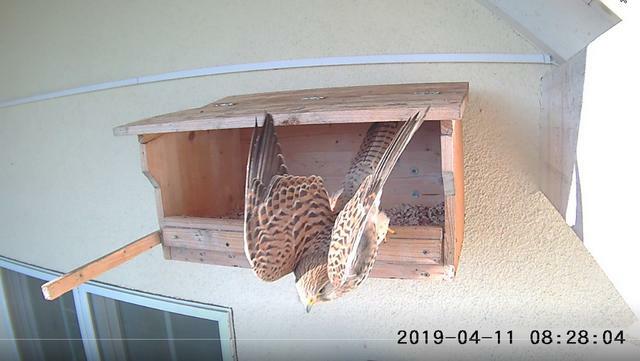 Then we will report something new.